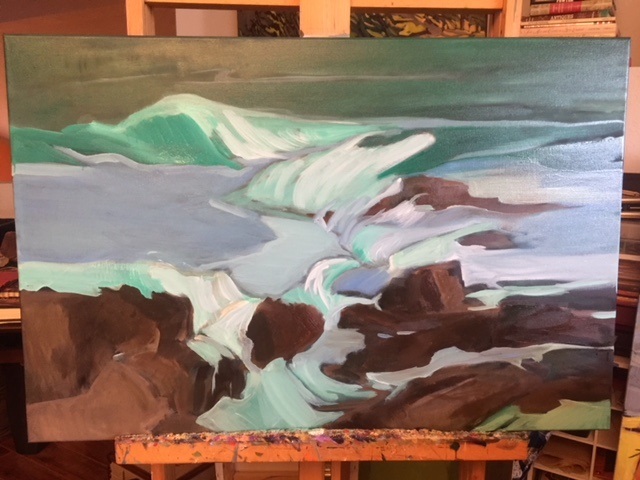 It has been years since I painted a seascape. I suddenly felt the need to create swirling waters, fast moving waves crashing against the steadfast rocks. Art often mimics life. Here's the beginning of this new journey.